As the election season recedes and the holidays approach, this may be the perfect time to decompress and reflect within about ourselves and our nation. For me, the process starts with taking a fresh look at the candidates’ slogans. Whether it’s “Make America Great Again” or “Stronger Together,” the message seems to be the same: you should take some action to help others. And the interesting thing is that taking positive steps will not only benefit those around you, but pay dividends to your personal health as well. A recent study in the Journal of the American Geriatrics Society, for instance, found that volunteering may have positive health benefits for older adults. My guess is that volunteering provides value for people of all ages. According to the Corporation for National and Community Service, a federal agency that engages more than 5 million Americans in public service opportunities, volunteering provides innumerable benefits that may not be easily measured such as strengthening communities, connecting to others and, sometimes, even transforming our lives. Fortunately for all of us, there are many opportunities to do something good for our world. The U.S. State Department, which provides a list of volunteer opportunities, both national and international, is a good place to start. And whether you’re an active member of the workforce or a retired senior citizen, the AARP has a fun ‘volunteer wizard’ series of questions that can help you pinpoint the best volunteer opportunities for your personality and interests. 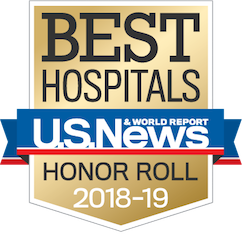 Working at a world-class medical facility such as UCLA Health, I get to see volunteers in action closer to home, contributing in a myriad of ways to the lives of patients, their families and their co-workers. 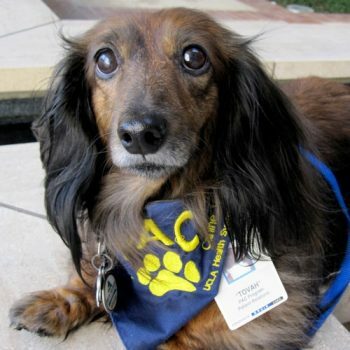 Volunteers who love their dogs, for example, can explore UCLA’s People-Animal Connection, which has provided documented health and emotional benefits to hospitalized patients and their loved ones through the power of canine companionship. The program puts the dogs through a personality test to see whether they are well-suited for a hospital setting, and then provides training and guidance if they are. Are your interests more on the musical or visual arts side, or even styling hair? Musicians, artists, hair-cutters and people-pleasers can volunteer to bring joy to an otherwise tedious hospital stay. Volunteers play musical instruments, help with art projects, give a stylish haircut and spend time with patients in their rooms playing checkers or other games, all in an effort to bring more joy. And when even the most accomplished doctors and state-of-the-art medicine can no longer halt the advance of a life-threatening illness and death is imminent, volunteers are there to provide crucial support. Hospital volunteers in UCLA’s No One Dies Alone program are dedicated to giving comfort and keeping vigil with patients who have no one else to stay with them during their last days. So even patients in the direst of circumstances, whose relatives and friends cannot be at their bedside, can take comfort in knowing that they will not have to die alone. Volunteering and altruism, whether on an international, national or local level, transform lives for the better daily – sometimes even our own. So as the New Year, and a new political era, approach, perhaps give volunteering a try. Chances are you’ll find it to be the most lasting and satisfying way to make a difference.